HERE if you experience any trouble. Strings, a showpiece for the performers”. “Whether in meditative mode or at his most vigorously energised, Sørensen is a charismatic communicator. His daredevil assault on the Xenakis`s Rebonds brought the audience cheering to its feet”. “Mention spéciale à le percussionniste Sørensen, toujours très subtile, lourd jamais “. “Sørensen viser lysende komisk talent som djevel og lydskaper. Han er multikunstner, ikke bare på slagverk”. holde den fysiske og psykiske intensiteten på topp gjennom hele denne velgjørende massasjen for trommehinnene”. “Sørensen improviserer frem sugende afrorytmer og skarpslepen brutalitet så vi ikke vet hvor det ene slutter og det andre begynner”. dommedagsdrønn fra Kjos Sørensens perkusjonsarsenal. Kjos Sørensen var likevel nøye med decibelutporsjoneringen og konsentrerte seg i stor grad om nennsom, delikat fargelegging”. “Kjos Sørensen oppviser stor formidlingsevne og innlevelse. Han før vist frem sin tekniske begavelse samtidig som han får frem en menneskelig dimensjon”. The solo-percussionist has unlimited possibilities for making sounds and effects. It demands brain, breath(!) and a well-developed coordination to handle everything at the same time. Hans-Kristian Kjos Sørensen shows us that he´s got what it takes. Iannis Xenakis` primitivism, Rolf Wallin’s explosive outbursts and Åse Hedstrøm´s “Flow”; Everything sounds as Sørensen is unstrained in his musicmaking. The improvisations, the singing and whistling are cunning and well timed. This cd is simply a grand collection of the art of percussion, signed by a performer with a rare strong profile. In Iannis Xenakis Rebounds we feel the direction and the ritual presence even more taken care of by Sørensen. He seems to hold the ritual circle continuously, the dramatic scenario is brought forward and the perception of eternity; The drums have been calling us a long time and will continue to do so a long time more, both within and beyond us. Sørensens own improvisations Open I-III are like refreshing sorbets in a multi-course dinner party, as well as increasing the overall temperature of the CD. There´s filigree here (in the aptly-titled Flow and Donatoni´s characteristically fresh take on the vibraphone), and heavy drumming (Rebonds, more circumspect than the live performance, is still enough to make anyone sit up, and Stonewave builds up a fair heat, too), all interlaced with carefully gauged contrasting works. Especially enjoyable is it to listen to Rolf Wallins “Stonewave”, this time in a version for solo-percussion. The listener is caught up in a very special universe of pulsating and driving rhythms. The music on this disc is so full of contrasts, which makes this recording interesting, even after several times of listening through it. “Open” is a true adventure, which can be experienced over and over again. Rolf Wallin´s Stonewave is here given a spectacular solo performance by Kjos Sørensen. His sheer technical bravura is bracing, and he describes in the booklet his sense of fun and mischief in performing the work, right down to Donald Duck impersonations! The whole thing builds up to a thrillingly physical climax and is a real tour de force of percussion technique. This disc explores some of the music playable by a solo percussionist, though Kjos Sørensen is a versatile and imaginative musician, who not only includes improvised work here but sings on two of the tracks, two little pieces by John Cage. The concluding improvisation Open III is a gently Phrygian piece, featuring the performer whistling in unison with his glockenspiel. In many ways, this CD is an amazing achievement. 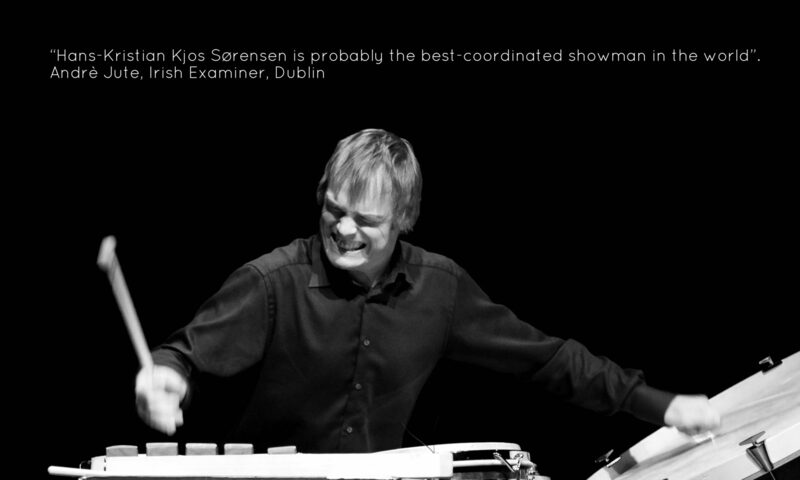 Kjos Sørensen is a brilliantly gifted performer, but clearly an imaginative and creative one too. 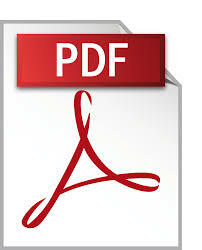 A very special issue, continuing BIS´s tradition of opening our minds and our ears. Hans-Kristian Kjos Sorensen delights in revealing the expressive possibilities found on this solo percussion CD. Sorensen, who is a singer in his own right, here has a wonderful opportunity for indulging his musical imagination in sculpting an expressive vocal line while serving a dual role as his own accompanist. He demonstrates his abilities to effectively manipulate other expressive parameters such as timbre and dynamics, as in his use of the full dynamic range in “Omar” for solo vibraphone, and dynamic and harmonic possibilities the marimba affords in Hedstrom’s “Flow” for solo marimba. The works on this disc give the listener a sample of 20th-century percussion writing that displays a wide range of compositional approaches, with the works of Xenakis and Cage serving as polar extremes. Certamente merita attenzione questo lavoro, cosè denso di spunti per la comprensione delle percussioni e delle composizioni e sperimentazioni proposte da compositori contemporanei. Merita inoltre una particolare nota di lode l’interpretazione di Sørensen, attenta a non sovrastrare i maestri che esegue, ma capace in ogni caso di darci un segno libero e pulito della propria sensibilitè.